Help your toddler, preschool, and kindergarten age child learn their shapes with these 25 fun to make shape crafts. Learning their shapes is not only fun, but helps kids get a good foundation. 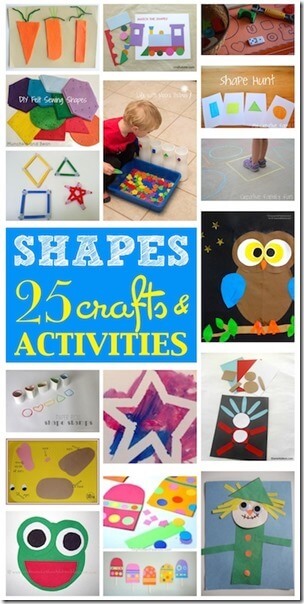 Kids will have fun with these 25 Shape Crafts from Because Babies Grow Up.